It’s not uncommon for high school student-athletes to enlist in the U.S. military after graduation. There are many reasons they do this, whether it be an opportunity for a clean start, a need for direction and focus, or just the passion and dedication for their country. Whatever the case may be, it often requires the sacrifice of giving up the sport they have competed in for so long. Because of the commitment enlisting in the military requires, plans for college often get delayed or affected somehow. This also means that a student-athlete who wants to compete in college can’t compete until their service is over. This can cause problems in the eligibility process because of the NCAA’s Five-Year Rule. This rule stipulates that college student-athletes have five years to complete their four years of eligibility. In most college sports, athletes’ eligibility clocks start counting down only one year after their high school graduation. Obviously, those athletes who enlist in the military can’t plan on being able to use their eligibility until they have finished their service. 14.2.1.2 – Service Exceptions to the Five-Year Rule. (c) Service as a conscientious objector ordered by the Selective Service Commission (or the equivalent authority in a foreign nation) in lieu of active military duty. – This rule basically stops an athlete’s five-year clock when they enlist in active duty in the military. 14.5.5.2.5 – Military Service Exception. – This rule allows athletes to play immediately (without sitting out) if you transfer schools after leaving the military. Finding a scholarship opportunity to play college sports as a military veteran is still possible. Even though you may be out of practice from your sport and unable to send a recent highlight video, coaches recognize the sacrifice you have made as a veteran. Plus, many of the things you learn in the service like team work, focus, and dedication are the same characteristics that coaches look for in athletes. 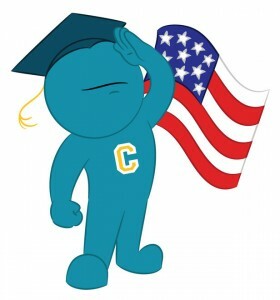 If you have more questions about finding a scholarship as a veteran or other recruiting questions, leave a comment below or connect with us on Facebook and Twitter to start learning about recruitment.